For a generation of Americans that collectively bears the psychic scar tissue of Sept. 11, 2001, any act of terror invokes memories of the terrorist attack that reshaped their lives and largely defined the past decade. So the nearly simultaneous bombings of the Boston Marathon that killed three and injured more than a hundred bystanders instantly suggests the work of al-Qaida or its affiliates in the pantheon of Sunni Islamic extremist groups. Law enforcement and counterterrorism officials know, however, that terrorism comes in many guises. That’s why after being briefed by the FBI, President Obama decried the act without pointing a finger at a likely actor. In fact, initial evidence offers enticing clues that point in each of those directions—a foreign terrorist organization, likely affiliated with or inspired by al-Qaida and its strategy of striking the U.S. homeland; domestic terrorists, probably from the anti-federal-government, nativist Right, whose ranks have been growing in recent years; or a “lone wolf or wolves,” acting independently and inspired by an ideology yet to be determined. 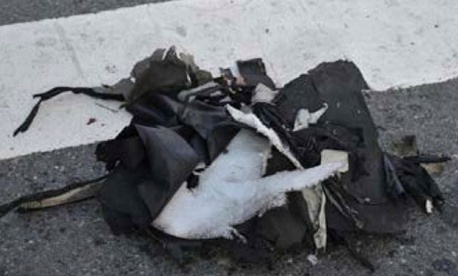 The fact that the attackers targeted the Boston Marathon might suggest an al-Qaida connection, Jenkins noted, because for years the terrorist organization has exhorted followers to attack mass sporting events. Osama bin Laden’s personal notebooks captured in the raid on his Abbottabad complex, for instance, included threats against the Commonwealth Games in India and European football tournaments. If the Boston bombing is linked to al-Qaida, some experts believe the method suggests lone wolves inspired by its ideology rather than experienced terrorists that trained in its camps and established a sleeper cell in the United States. The al-Qaida sleeper cells responsible for the Madrid train bombings in 2004 (191 killed and more than 1800 injured) and the London transport bombings of 2005 (52 killed and more than 700 wounded) used much more capable bombs that produced far more carnage. Even the failed plots of al-Qaida-trained operatives have been more ambitious, including former New York pushcart operator Najibullah Zazi, who headed a homegrown cell that plotted to bomb New York City subways; and Faisal Shahzad, a Connecticut resident trained by the Pakistani Taliban who drove a car bomb into Times Square and attempted to detonate it. "Compared to all of those plots, which were quite sophisticated and frequently involved the multiple detonation of more powerful bombs, the Boston attack seems relatively rudimentary to me,” said Philipp Mudd, a former top counterterrorism expert at the FBI and CIA, and author of the new bookTakedown: Inside the Hunt for Al Qaeda. The choice of a very soft target such as the marathon, rather than a harder, more iconic symbol of American power like the World Trade Center, the Pentagon, or the Federal Reserve, he said, does not suggest the culmination of a sophisticated, foreign-driven conspiracy years in the making. On the other hand, the timing of the attack on “Patriot’s Day,” which coincides with the April 15 deadline for filing federal taxes, suggests a possible link with right-wing, antigovernment extremist groups. Both the 1995 Oklahoma City bombing of the Alfred P. Murrah federal building by antigovernment extremist Timothy McVeigh (168 dead, more than 680 injured) and the federal government’s siege of the Waco compound of sect leader David Koresh (76 dead) occurred in April. Both incidents remain potent symbols to antigovernment extremist groups. Indeed, one of the most recent and devastating terrorist attacks by an ideologically-inspired extremist was the 2011 bombing and shooting spree in Norway by the antigovernment white supremacist Anders Behring Breivik (77 killed). Nor is the ideology that inspires terrorism necessarily antigovernment or pro-Islamic extremism. Unabomber Ted Kaczynski carried on his deadly terrorist bombing campaign for 17 years in service to a self-styled manifesto that decried the encroachment of the “techno-industrial” system.